Over the past 10 years we’ve been building a team of Mind and Body therapists at our centre in Waterloo. It’s been clear to us from day one that as you treat and train the body you also have an impact on the way you think and feel. It’s equally clear that the way you think and feel has an impact on our posture and physical health. The shapes we make with our bodies as we go through life are not something we have to think about but seem instead to be influenced by deep preconscious survival systems which respond moment by moment to the spaces we inhabit and the situations we encounter. 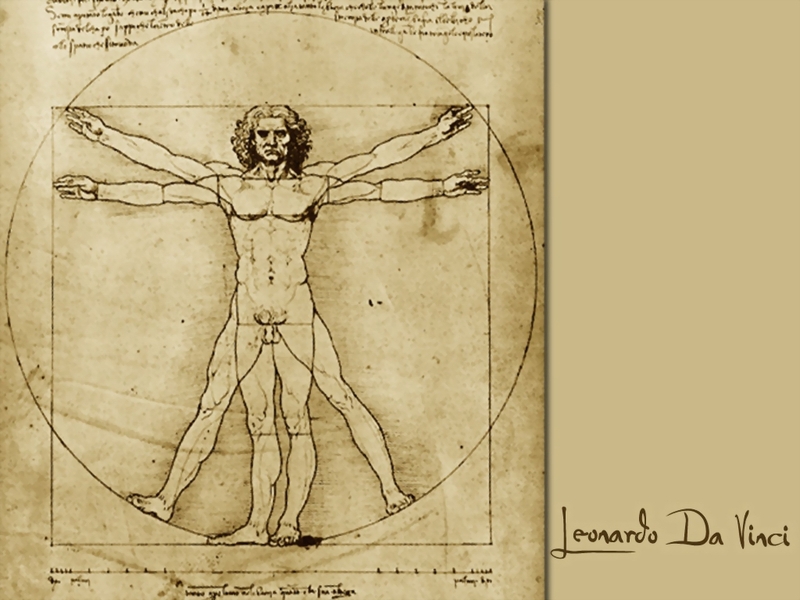 These continual shape adjustments made by the musculoskeletal system but involving also the respiratory, nervous and endocrine systems are not necessarily confined to what is happening in the present moment but can be conditioned also by events from our past and also by ideas we have, hopes and fears perhaps, about the future. Furthermore, to a trained observer these unconscious signals open a window into the deep enduring belief systems and fleeting emotional filters which effect how we posture in life. Hubert Godard, Scientist, Dancer and Rolf Movement Faculty member notes “We are affected physically, and psychologically by the world around us – but the spaces we share are not homogenous. One of Ida Rolf’s (the creator of the Rolfing Bodywork series) key insights was that appropriate relationship with gravity is a fundamental necessity to our health as humans on planet Earth. Ida Rolf in developing her 10 session Structural Integration series in the 1930’s was acutely aware that for her method to be truly wholistic it had to take into account the person’s perceptual experience too and the ten session Rolfing series that she devised pays attention as much to the clients internal feeling state as it does to inviting change in the physical structure. We know that some of her ideas came as a result of cross pollination with her contemporaries, Mosche Feldenkrais, Mabel Todd and Lulu Sweigard who where developing exciting new ways to see and interact with the body in the fields of movement and dance. All were perhaps influenced in tern by the newly emerging philosophical approach known as phenomenology. Edward Reed (a leading Scholar in the field of ecological psychology) has carried the phenomenological perspective into his work with motor responses. Reed points out that movement never takes place in a vacuum but always in context and that lab studies that attempt to isolate and analyse movement do not yield very useful information and lead to very little that can be applied to the problem of rehabilitation. He suggests that to be useful, the study of posture and movement must be looked at in terms of functions that he calls Action Systems. Reed’s list of action systems include, among others, the locomotion system that gets us around, the expressive system that allows us to look and listen and the semantic system that lets us speak and represent. Seeing movement as purposeful activity through which we establish a relationship with our environment and each other begins to contribute to our understanding of actual behaviour. The basic movements of lying, sitting, standing and walking are fundamental to our ability to function in the world. Underlying all of these is the even more basic necessity of establishing a viable relationship with the gravity field. 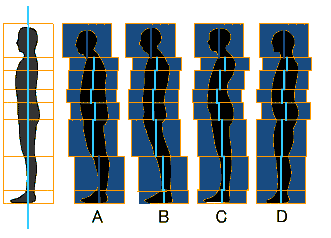 Our upright posture also defines us as a species bringing with it a specific set of gravitational challenges. For humans balancing on such a narrow base of support, constantly negotiating between stability and movement is a problem with significant psychological meaning. Our language reflects this in words that link verticality with morality and even more fundamentally, uprightness is a condition of survival. Anatomically, what Godard has named the Tonic system includes the brain, nerve pathways, fascia, muscle spindles, golgi tendon organs and postural muscles. Godard divides the individual fibres which, in bundles come together to form the skeletal muscles of the body into two distinct groups. Those that we have conscious control over – the movers – he calls “phasic” and those that keep us stable and upright in gravity, “tonic.” Most muscles in the body contain both types of fibre but all muscles depending on their function show a preponderance of one type or the other. So generally speaking and for the purposes of understanding how these two systems work together we can say that muscles are either tonic or phasic. In very simple terms Phasic muscles move us, Tonic muscles keep us upright and balanced. Tonic muscles like hamstrings, deep abdominal core and the deep spinal erectors are slow twitch muscle designed for endurance. They are the red meat in our bodies because they burn oxygen for fuel and therefore need a rich blood supply to deliver it. Phasic muscles like the biceps, pectorals and quads are fast twitch, they burn sugar as fuel and can deliver huge amounts of power very rapidly but only for relatively short periods. In order for the Phasic (movement) muscles to move us, the Tonic (stabilising) muscles which act like brakes, must first relax. This “letting the brakes off” is known as a “pre movement” and is part of and must precede every action we make. Imagine you are standing and you raise your arm, the power for this action comes from contraction of the phasic muscles at the front of the shoulder. But the first muscles to respond as soon as we even think of making this movement are the tonic or gravity muscles. Guess where? Not in the shoulders or arm but way down at the back of the leg. The soleus muscles act as stabilisers preventing us falling forward under the gravitational weight of the cantilevered arm. The degree to which we can relax the tonic system and allow “in-stability,” conditions the quality and efficiency of the movement that follows. Because we ordinarily have little conscious control of the Tonic system it is difficult to simply ‘will’ the brakes to release and would anyway, be way too slow and cumbersome. It has to be automatic to work efficiently. If you imagine the action of writing your signature on a cheque. This seemingly simple task actually requires the coordination of muscles in the hand, forearm, upper arm, shoulder, neck, face, eyes and so on. Some of these muscle will move the fingers, hand and arm, some to will need to let go, lengthen to allow this and some will be asked to switch on only partially to support, stabilise and maintain focus etc. If you now think about the thousands of individual motor and sensory neurones supplying each muscle which must be excited or inhibited by the brain like a conductor coordinating huge complicated orchestral piece, you will begin have some idea of how much computing power is needed for every movement we make. Actually, we know that to do all of this whilst maintaining all the other systems, which keep us alive at the same time; circulation, respiration, digestion etc, would be beyond even the 80 billion or so neurones in our huge brains. The amazing thing about these programs is that they are elastic and can adapt to the almost infinite positions and environments that we find ourselves in. So that for instance, whether you are writing your signature on a small piece of paper, on a blackboard, or in the sand at the beach the engram for that task will organise the muscle actions needed to allow your signature to be recognisable at every size. These wonderful programs however, can be fragileand although operating for the most part beneath our every day awareness, are never the less listening to, influenced, changed and disrupted by what we think, feel and believe. Recognising when there is a glitch in an engram and knowing how to bring it back into balance with sensitive movement cues has been one of the most important evolutional changes in the work of Rolfers since Ida’s original pioneering start and much of our new understanding of how to work with perception and coordination has been thanks to the inspired research and generous sharing of Hubert Godard. MacCleans’s model divides the brain into three layers classified according to function and age in terms of evolutionary development. The first and oldest layer is the reptilian brain, it takes care of the basic functions of survival including the fight or flight response. It is also from where the tonic system receives its instructions. Emotional associations take place in the paleomammalian or limbic level, a more recent evolutionary development. The third and most recent level in MacClean’s model is the neocortex which we share with only the higher primates and whales and dolphins. This layer gives us the ability to rationalise and find meaning. So in simple terms, any unresolved trauma, deeply buried belief systems orunconscious emotional habits associated with certain movements or situations, will alert the body’s older and more primitive brain centres and the fight/flight system will be activated telling the tonic tissues that it is not safe to move. Because these muscles are stronger, more durable and controlled by the primitive, subconscious brain, any ideas that you may have about “letting go.” are easily overpowered.This situation ignites a kind of myofascial civil war. Muscles fibres which want to move you pitted against muscle fibres which want to keep you still. This is “Stress”it wastes energy, feels terrible and often leads to one or more secondary acute and then chronic stress related syndromes. With the body fighting itself in this way, movement of any kind will feel awkward and uncoordinated and will of course burn far more energy than you need to. Is it any wonder that many of us feel exhausted just getting through a normal day? Ida Rolf and F. M. Alexander were among the first to devise ways of disrupting this cycle of activation. Recognising that the most profound changes come from the deepest psychological levels. By addressing the tonic function we can effect the basic senses of support and orientation without needing to talk about the associations involved. If we can help build a sense of support in the body (instead of breaking down armour as in the Reichian model) we will create deep change without ignoring the psychological significance and without going off into emotional history. Of course the concept of safety is relative. Part of being a human is to be dependent upon other humans. Not all the time, of course. Similar to most mammals, we come into the world with great dependence on our caregivers, and that need to connect and be connected to others remains throughout our lives. As we mature, we need to find safe environments so that we can sleep, eat, defecate and reproduce. We create the safe environments by building walls to create boundaries and privacy. Or, we may get a dog, which will guard us, so we can sleep. The point of these strategies is to create an environment in which we no longer need to be hyper-vigilant, and to allow us to participate in the life processes that require “safe” environments. Social engagement behaviours—making eye contact, listening to people—require that we give up our hyper-vigilance. This of course requires that we be able to quickly distinguish between friend or foe? But how do we do this ? Experiments using functional magnetic resonance imaging (fMRI) has enabled researchers to observe neural activity uniquely associated with perception of biological motion. With specific brain centres seemingly dedicated to detecting familiar faces, familiar voices and familiar movements. The recent work of Dr. Stephen Porges, Director of the Brain-Body Center at the University of Illinois at Chicago has added considerably to our knowledge of how we interact with each other and our environments. Which specifies two functionally distinct branches of the vagus, or tenth cranial nerve. The branches of the vagal nerve serve different evolutionary stress responses in mammals: the more primitive branch elicits immobilisationbehaviours (e.g., feigning death), whereas the more evolved branch is linked to social communication and self-soothing behaviours. These functions follow a phylogenetic hierarchy, where the most primitive systems are activated only when the more evolved structures fail. So hand gestures, facial expressions and vocalisations that appear “safe” turn off the brain stem and the limbic areas that include fight, flight and freeze responses. Furthermore, embedded within the lining of the gastrointestinal wall itself there is a massive plexus of nerves. This complex network of sensory, motor and interneurons (those nerve cells that connect between the sensory and motor neurones) integrates the digestive and eliminative organs so that they function coherently. 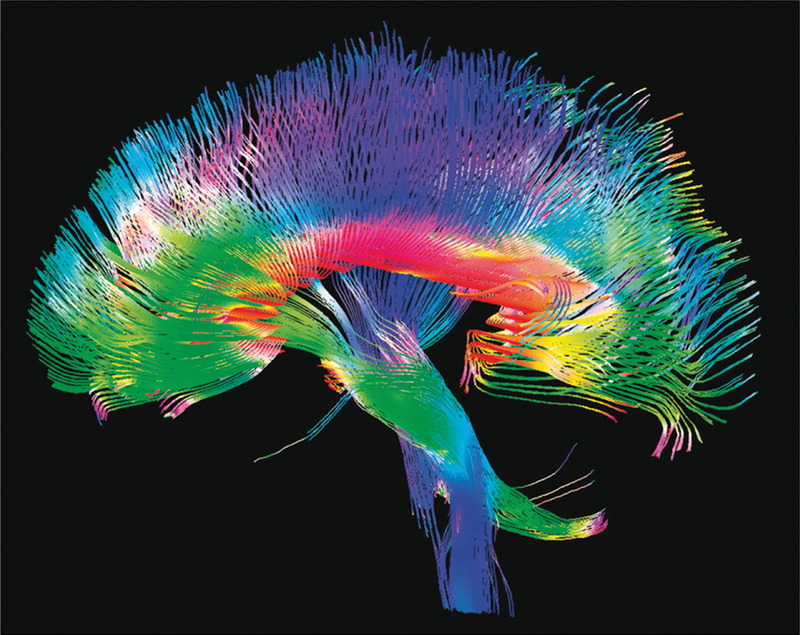 The “gut brain” is an intricate system has about the same number of neurones and white matter as does a cat’s brain. Because of this complexity, it has sometimes been called the second or enteric brain; a forth to the other three layers described earlier. How emotionally inteligent is your partner?